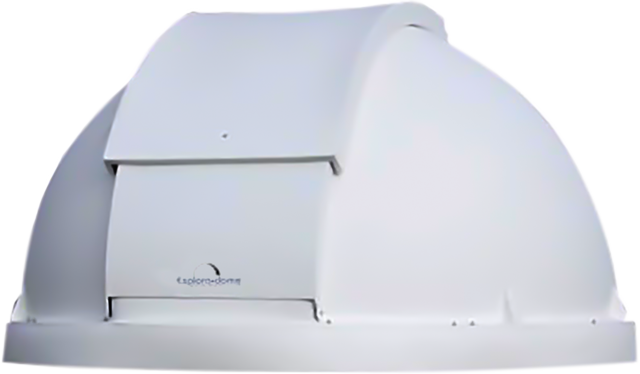 The 8’ Explora Dome only is assembled and ready to install on your Observatory building. 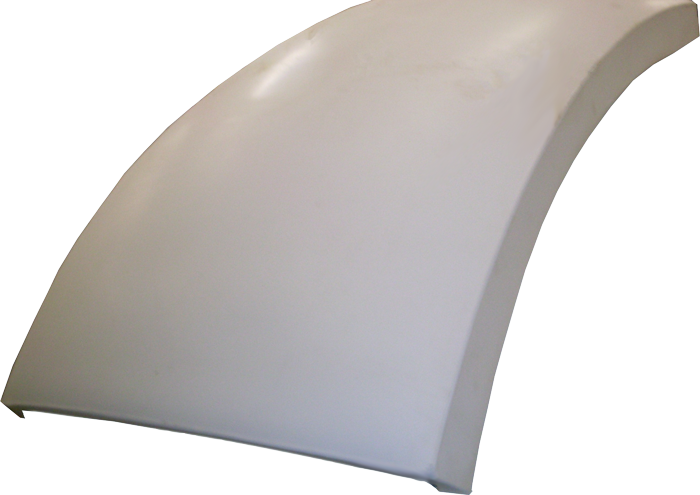 This Dome only is for the budget mined induvial who can build there own wheel ring and mounting ring. 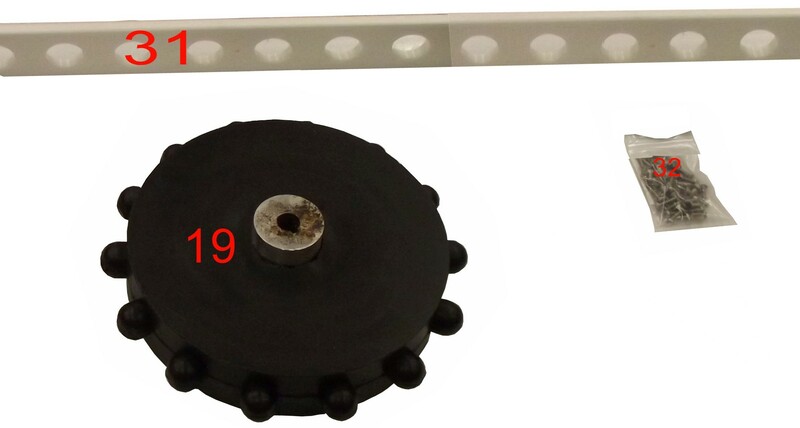 Upper shutter rope pulley system for opening and closing the upper shutter door. 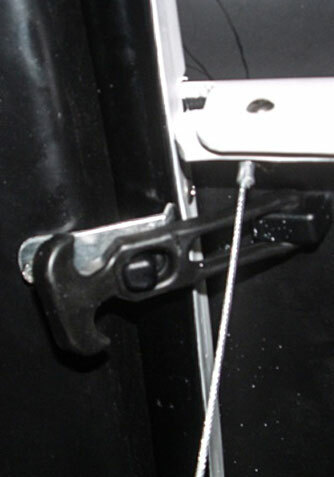 The lower shutter door latches w/rope. 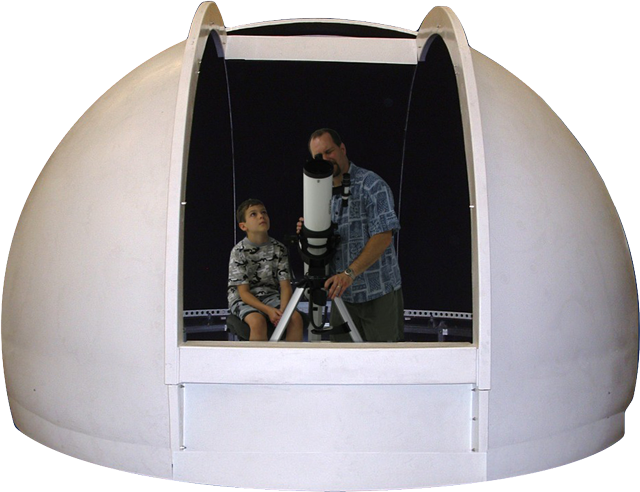 The 8’ Deluxe Explora Dome Kit starts out the same as the 8’ Explora Dome package but than all the goodies are added to make one of the finest observatory domes on the market today. 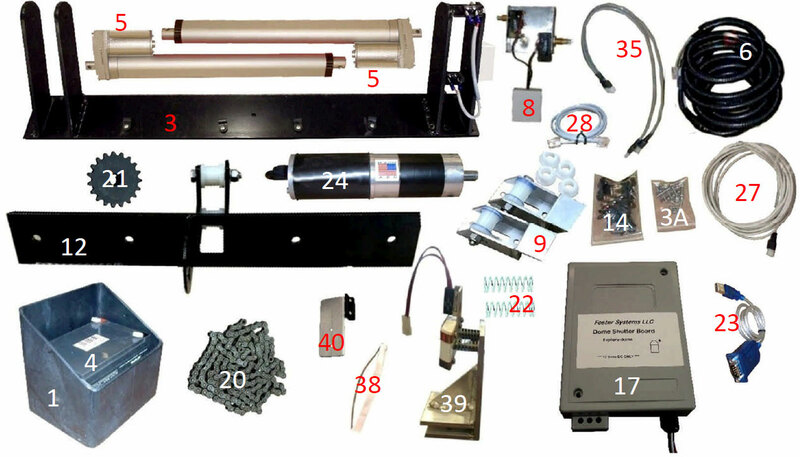 If you are going to do astrophotography this is the chassis you want. 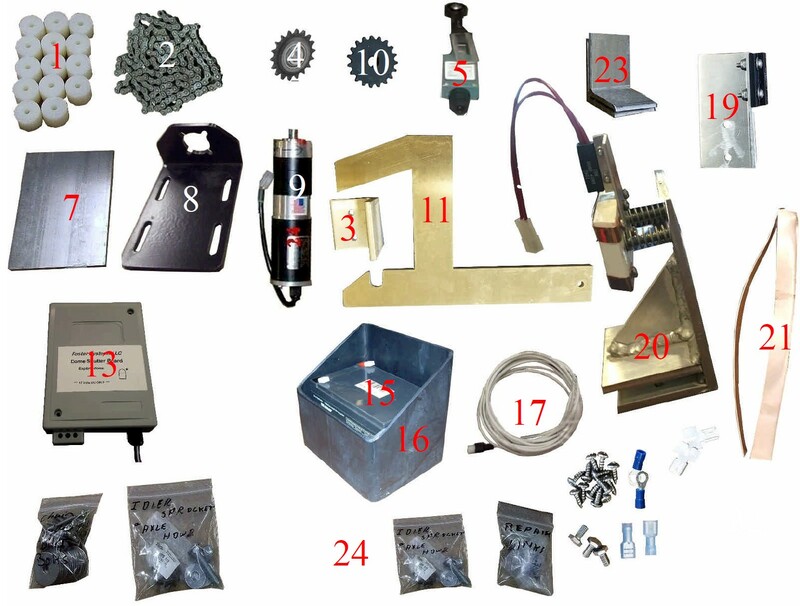 And the Automation kit makes it easy to put it all together. The 8’round building has an aluminum base ring for superior mounting to your deck or pad and the aluminum mounting ring for superior circumference and durability. 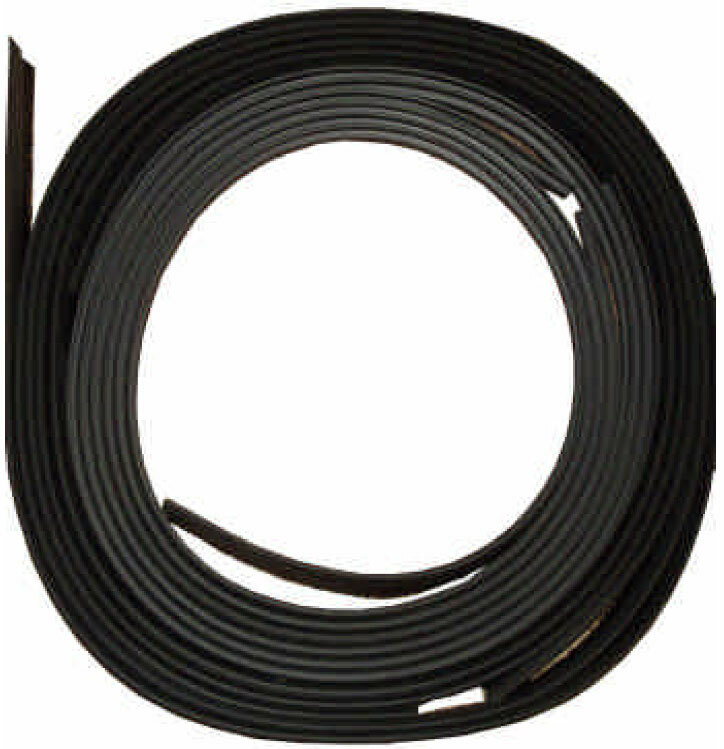 Along with 2 – 1 ½” square aluminum tubes for extra top ring support, an aluminum door frame with a steel door W/dead bolt lock, heavy gauge steel siding for longer lasting durability, and superior protection of you equipment. 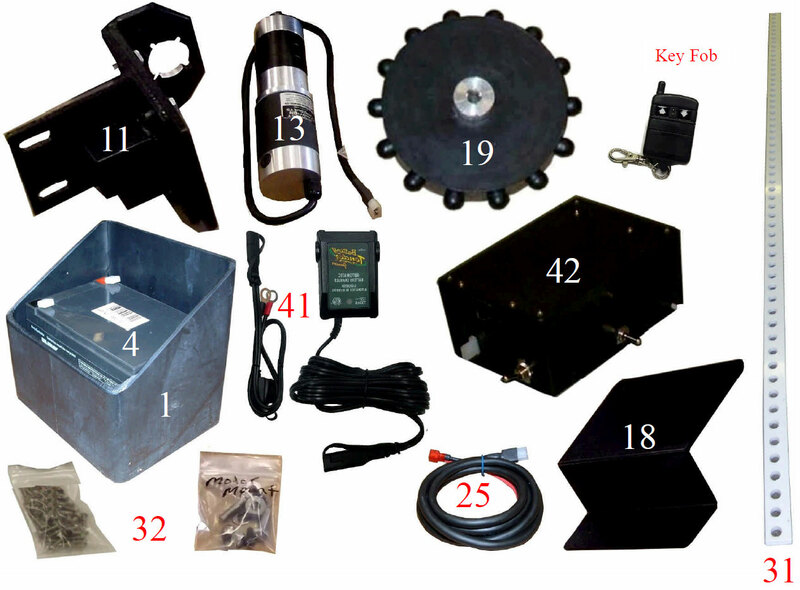 All this adds up to one of the finest Observatory’s on the market today. 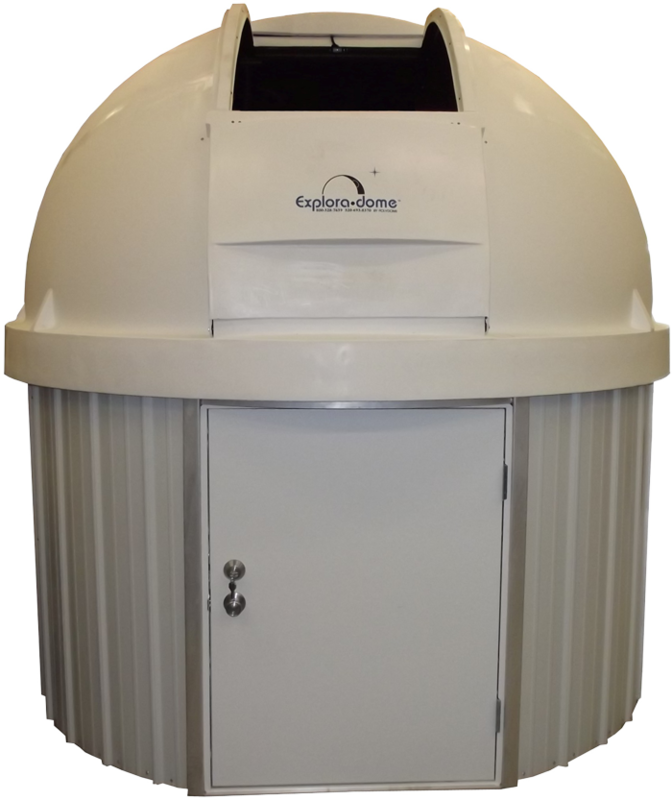 If you are looking for a little more room you can also add extension bay’s to the building or move up to the 10’6” Round Building with the 8’ dome. 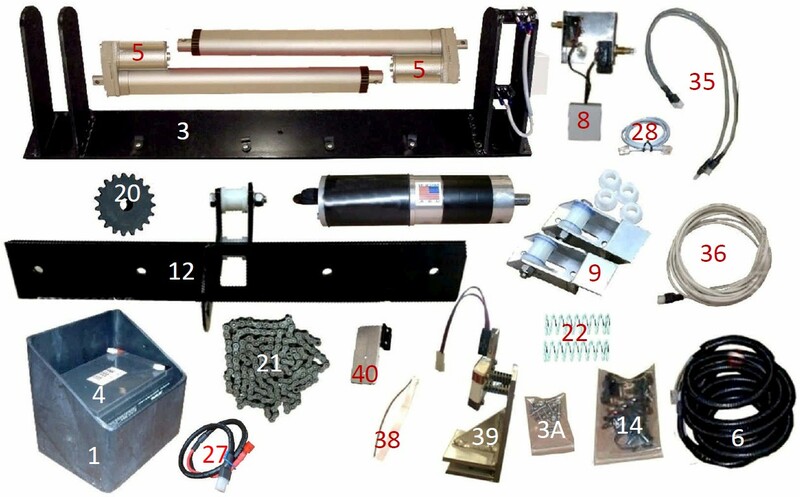 Download Assembly Instructions for more information. 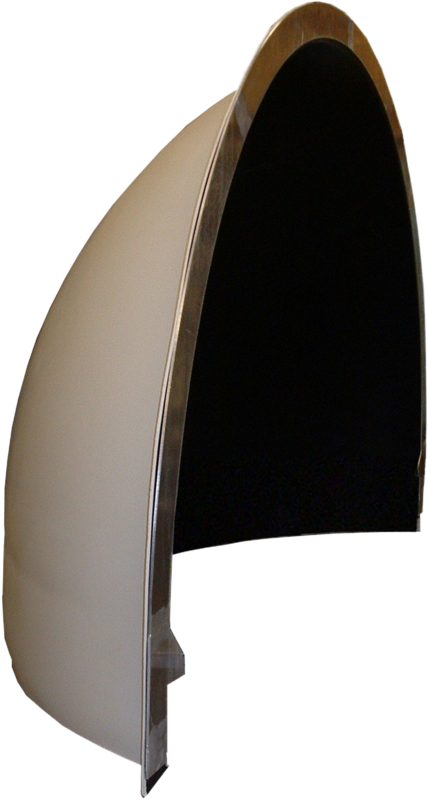 Includes the 8’ Deluxe Dome package PLUS the 8’ Round building package. 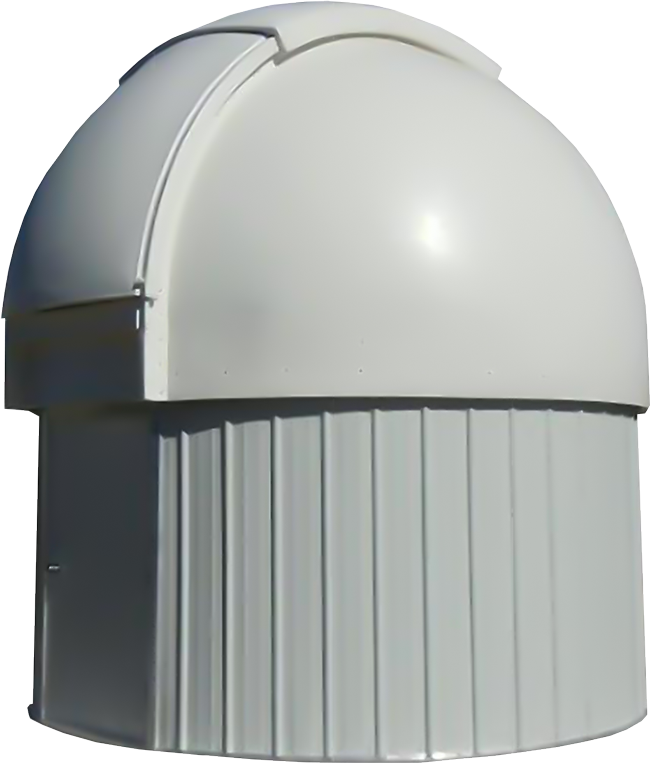 The 8’ Deluxe Dome package and the 8’ Round building package. 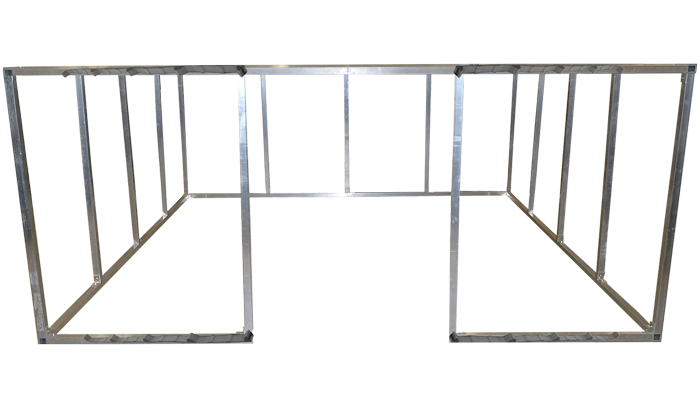 The Extension Bay is now made out of an Aluminum frame and the same steel as the siding for better appearance and strength. 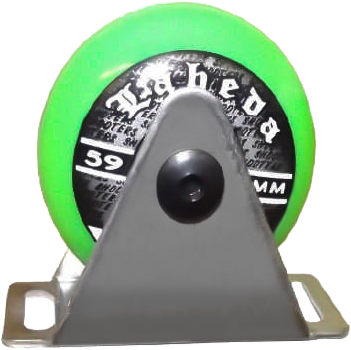 The 10’ 6” Round building has an aluminum base ring for superior mounting to your deck or pad and the aluminum mounting ring for superior circumference and durability. 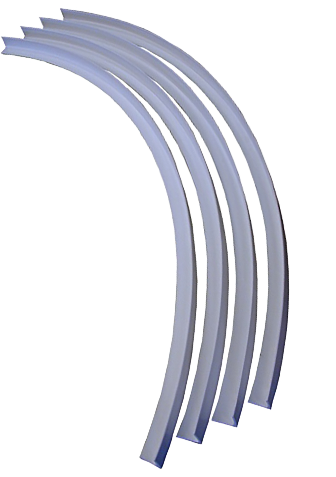 Along with 1 ½” square aluminum tubes for extra top ring support, an aluminum door frame with a steel door W/dead bolt lock, heavy gauge steel siding for longer lasting durability, and superior protection of you equipment. All this adds up to one of the finest Observatory’s on the market today. 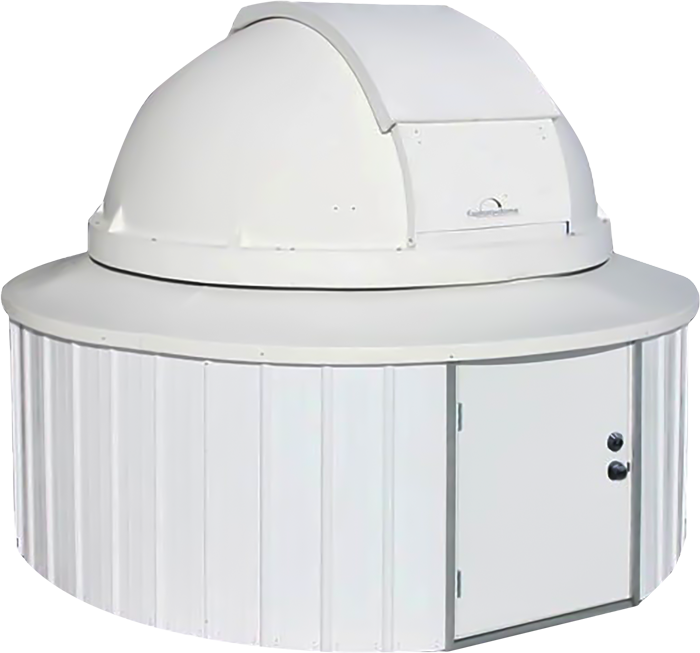 Includes the 8’ Deluxe Dome package PLUS the 10.5’ Round building package. 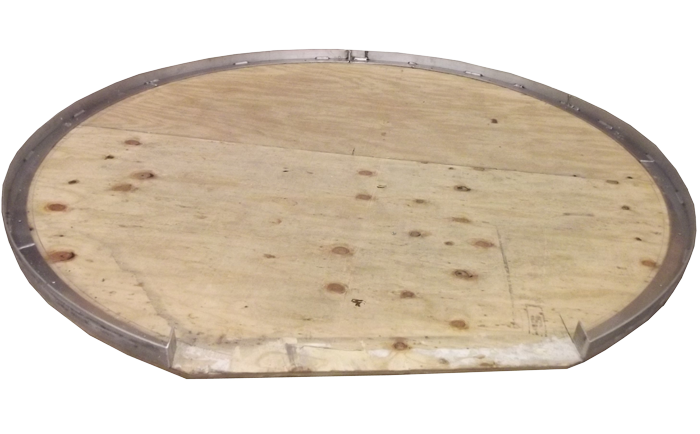 Aluminum Framework w/ mounting ring. 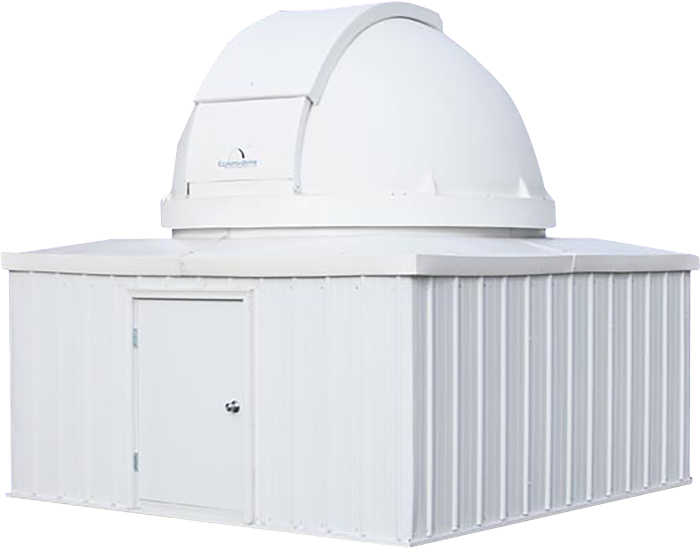 The 8’ Deluxe Dome package and the 10.5’ Round building package. 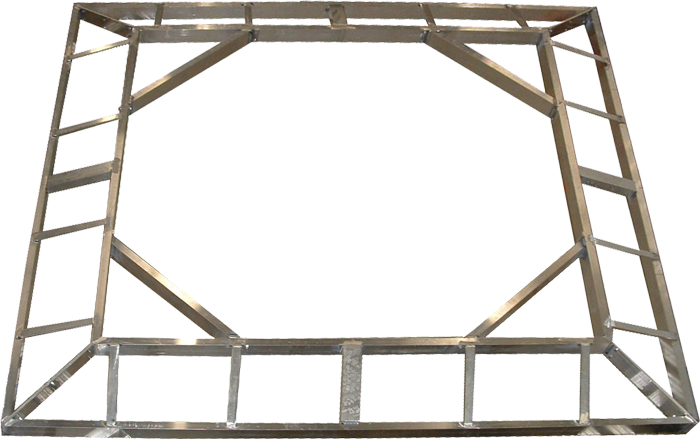 The 10’ X 10’ square building frame is made of 1 1⁄2” aluminum square tubing for over all strength and light weight. 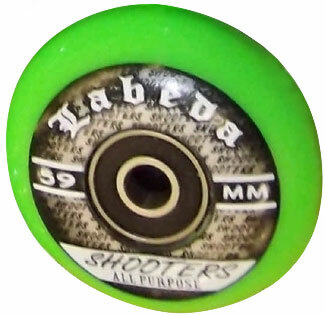 There is a tube running around the entire top and base of the building for ease of mounting the building to your deck, or pad. 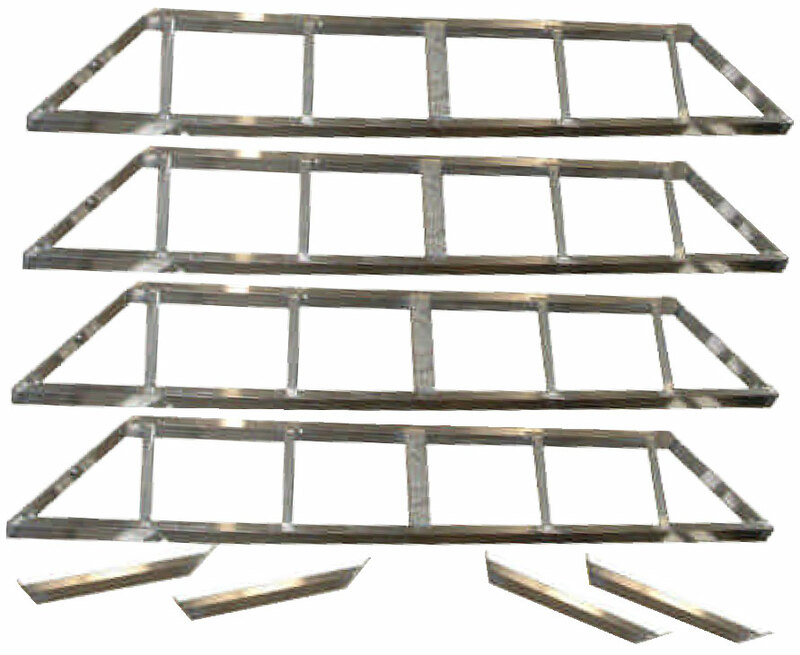 The roof support is made of 1 1⁄2” X 3” aluminum rectangle tubes and covered by 4 – 1/4 section plastic roof panels. 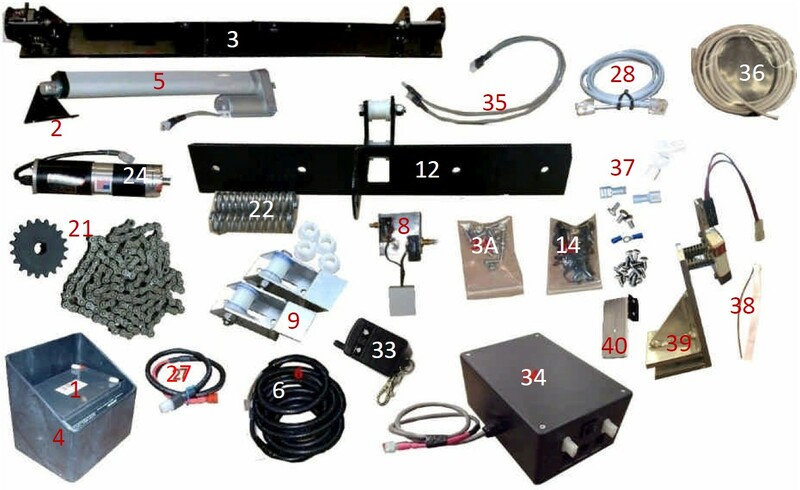 A steel door with dead bolt lock, aluminum door frame, heavy gauge steel siding for long lasting durability and superior protection of your equipment. 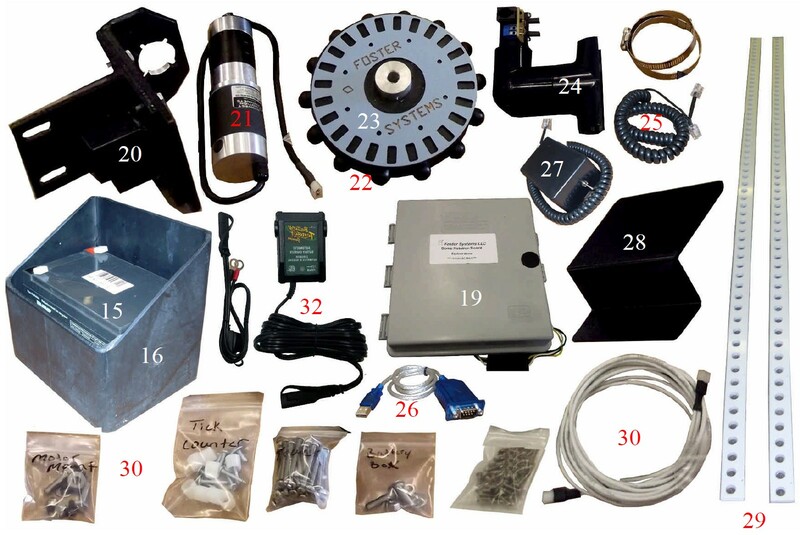 All this adds up to one of the finest economical Observatory’s on the market today. 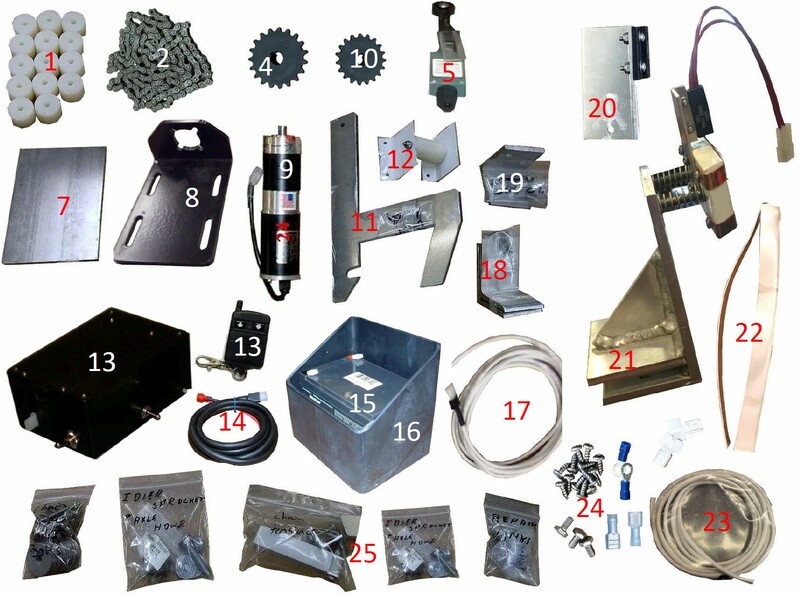 For more information download the assembly instructions. 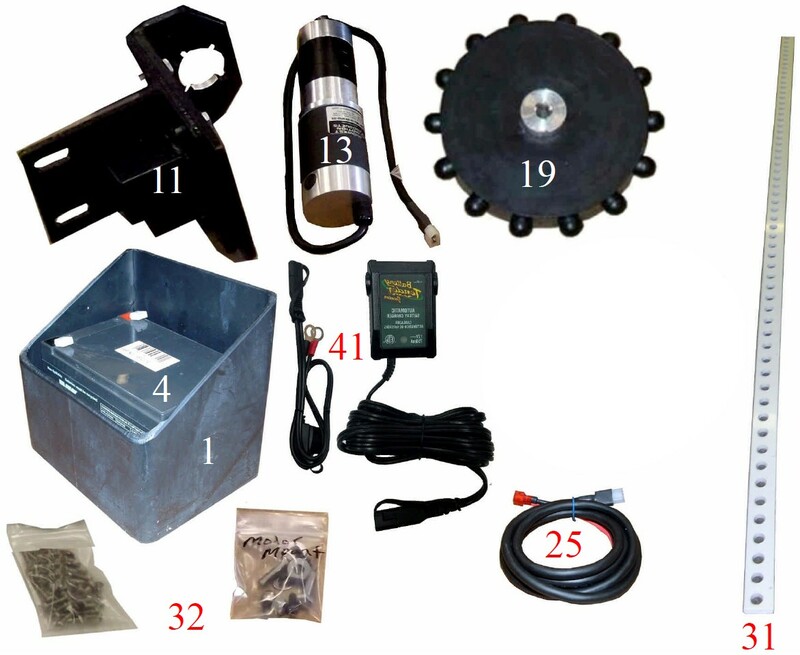 Includes the 8’ Deluxe Dome package PLUS the 10x10 Square Building Kit. 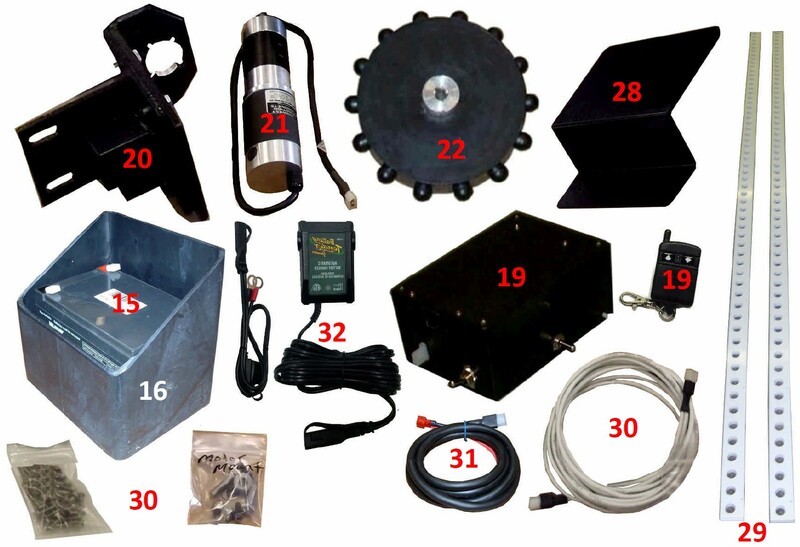 The 8’ Deluxe Dome package and the 10x10 Square Building Kit. 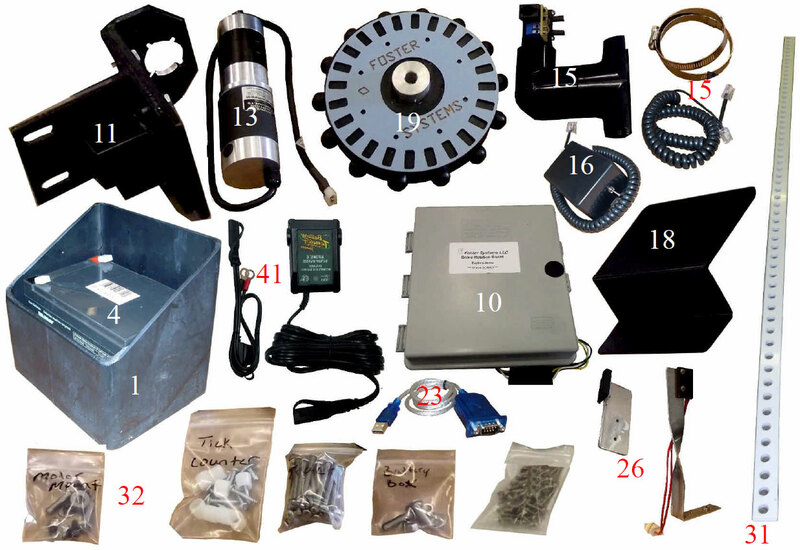 When you order the Shutter Kit and the Dome at the same time we install and test the Shutter Kit at the factory. 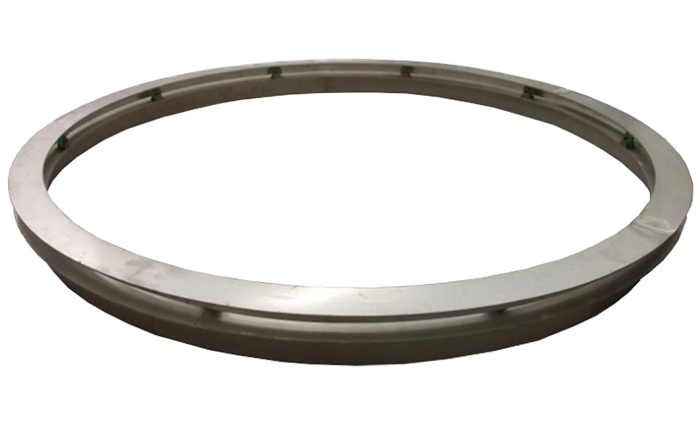 The aluminumwheel ring has a 2”wide band welded on the under side for guiding the ring. 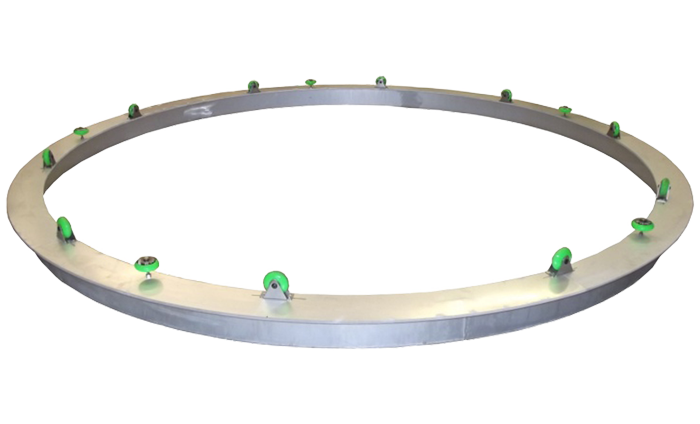 The aluminum mounting ring has a 4” or 6” wide X 91 ½” Dia band. 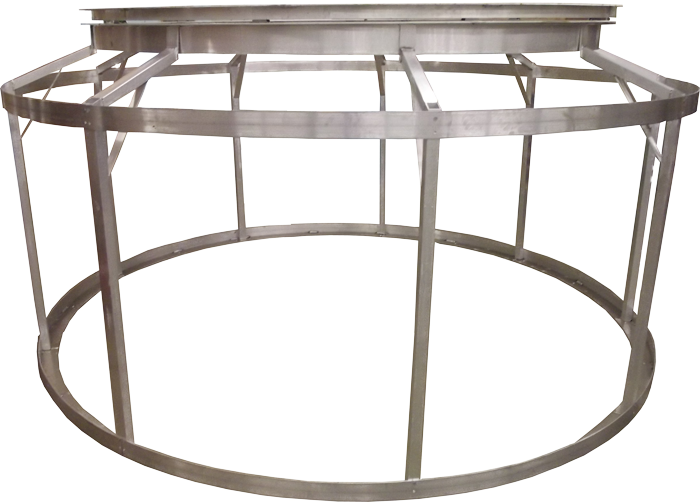 welded on the under side for mounting to the structure used. These panels come 4 to a set. 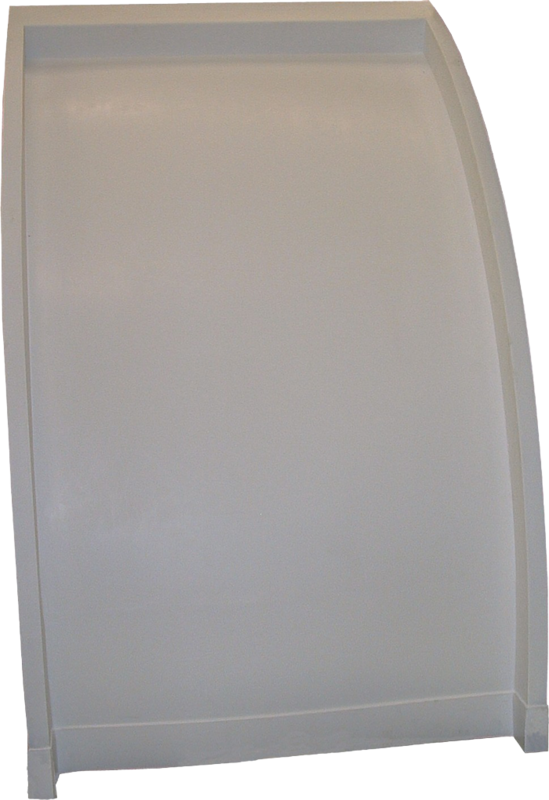 They are 123 X 123” over all on the out side edge when installed. 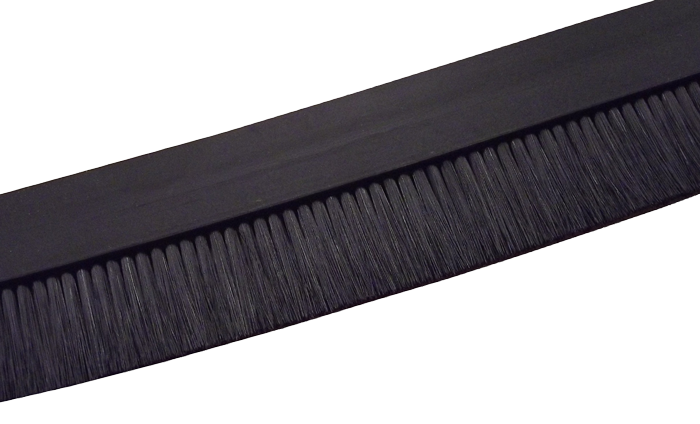 They can be very difficult to install, so care is needed. 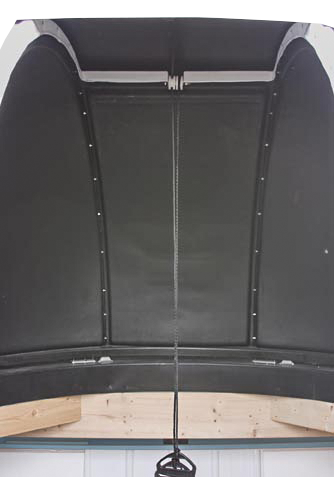 The ED II is the largest Observatory Dome we make it is 11’6” on the body diameter 12” 6” on the rails of the door. The shutter opening is 45” and goes 15 degrees past Zenith. 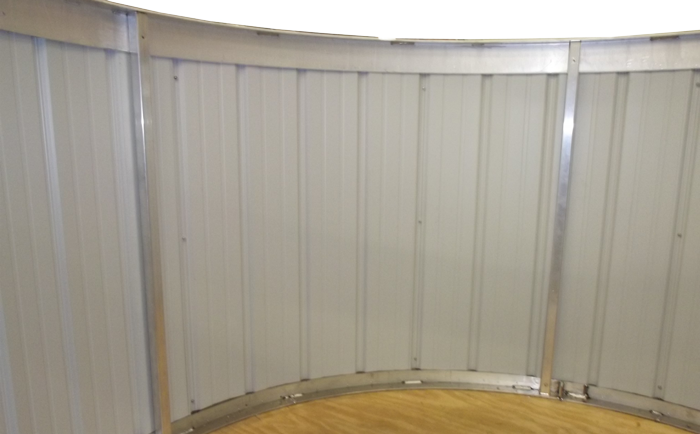 The shutter opening is covered by 2 doors that telescope inside one another. 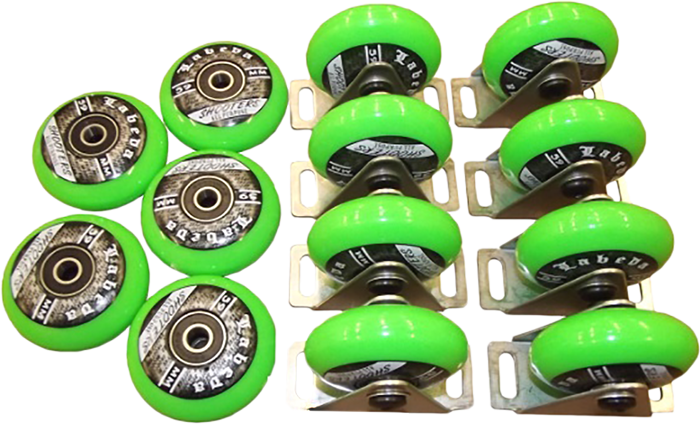 It comes partially assembled but has been fully assembled at the factory . 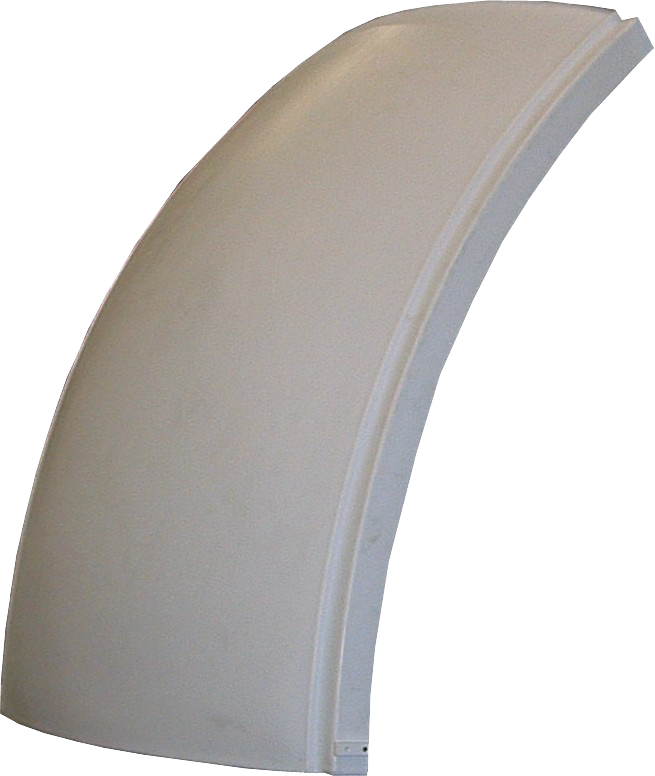 The Dome has aluminumsupports on each side of the shutter opening for added strength and an aluminumwheel ring for roundness and added strength . 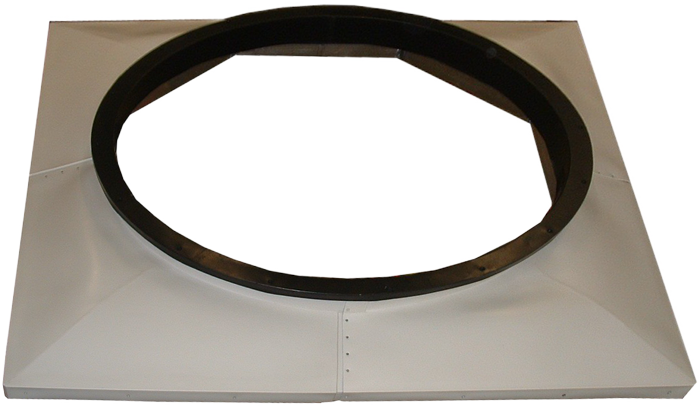 The EDII also includes the 8’ aluminum mounting ring. 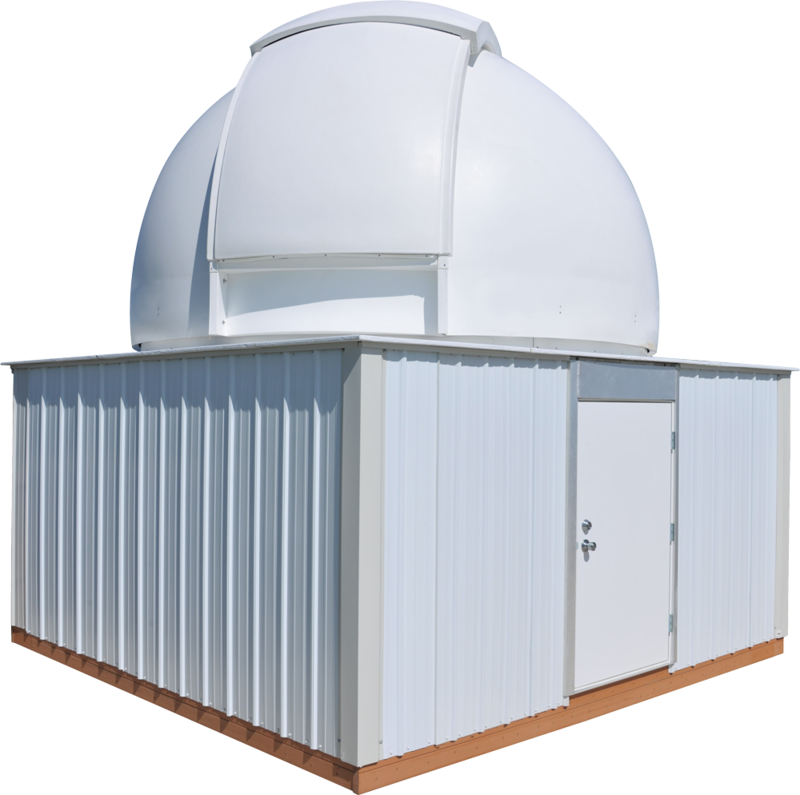 The base of the building is 1 ½” X 2” rectangle aluminum tubing the wall tubes are 1 ½” X 2” rectangle tubes,& the roof support is 2” X 4” rectangle aluminum tubing, the steel siding is 28 ga premiumsteel all this adds up to a superior Observatory for the protection of your equipment.